Indigenous Women’s Delegation Takes Fossil Fuel Divestment Demands To New York City and Washington D.C.
SAN FRANCISCO BAY AREA, Calif. - A fourth Indigenous Women’s Divestment Delegation will travel to New York City and Washington D.C. from October 15-17th, to take part in high-level meetings engaging the Equator Principle Association banks (EP banks) and the credit rating agency MSCI, regarding fossil fuel developments; Indigenous and human rights violations; dangers to increasing climate chaos; and demands for institutional action to change the harmful financing practices supporting extractive industries. On October 15th, the delegation will meet with MSCI rating company in New York City. MSCI ESG Research is one of the largest independent providers of ESG (environmental, social and governance) ratings, providing through MSCI Group, ratings for over 6,000 global companies and more than 400,000 equity and fixed income securities. These ratings affect how a company is perceived by investors, and thus the types of credit and loans that will be extended to project or groups, ultimately helping to determine the viability and completion of a given project. The call from the Indigenous Women’s Divestment Delegation is for rights and environmental violations to be more thoroughly reflected in the rating scores given to fossil fuel extraction companies. Such shifts in rating agency procedures would act as as one tool to contribute to the continued divestment of funds from unjust and dangerous extractive corporations and projects. On October 16th, the Delegation will travel to Washington D.C. to meet with Equator Principles Association banks in Washington, D.C as they hold their annual meeting. After the human rights abuses at Standing Rock, which did not stop 13 Equator banks from providing a project loan to the primary Dakota Access pipeline developer - EP banks said they would reform the Equator Principles, and begin a revision process to be completed by 2019 that would more effectively address concerns about potential rights violations and environmental degradation. The Delegation will provide critical inputs to this revision process. Meetings in Washington, D.C. will be held in collaboration with several groups focused on divestment strategies coordinating a collective campaign. October 2018 Indigenous Women’s Divestment Delegation members include - Wasté Win Yellowlodge Young (Ihunktowanna/Hunkpapa of the Standing Rock Sioux Tribe, Former Tribal Historic Preservation Officer); Jessica Parfait (United Houma Nation, Graduate student at Louisiana State University exploring impacts of oil and gas on Houma tribal communities); Tara Houska (Couchiching First Nation Anishinaabe, Tribal attorney, National Campaigns Director of Honor the Earth, and former advisor on Native American affairs to Bernie Sanders); Michelle Cook (Diné, Human rights lawyer, and Founder and Co-Director of the Divest, Invest, Protect campaign); and Leoyla Cowboy (Diné, member of the Red Nation, and community organizer for the Water Protector Legal Collective) - joined by Osprey Orielle Lake (Executive Director of the Women’s Earth and Climate Action Network (WECAN) and Co-Director of the Divest, Invest, Protect campaign). The Delegates will bring with them knowledge, data and analysis, and personal testimony as women leaders active in struggles to oppose the Dakota Access, Bayou Bridge, and Line 3 Pipelines, amongst other work.  [Full Delegate biographies available here]. Previous Indigenous Women’s Divestment Delegations traveled to Norway, Germany, and Switzerland, and focused efforts on some of the largest banks financing global fossil fuel infrastructure, including Credit Suisse, UBS, and Deutsche Bank - to demand adherence to the standards of Indigenous rights and human rights law, and meaningful action to divest funds from the fossil fuel companies forcing unwanted extractive development in Indigenous territories and jeopardizing the health of the global climate and communities. Background and context can be found on the Divest, Invest, Protect webpage. This fourth, October 2018 Indigenous Women’s Divestment Delegation to Washington D.C. and New York City is facilitated by the Women’s Earth and Climate Action Network (WECAN) International in partnership with Indigenous women leaders and their directives, as part of the Divest, Invest, Protect campaign. It is one vital contribution in a groundswell of diverse efforts for fossil fuel divestment being taken by groups and communities across the U.S. and around the globe. Members of the media are encouraged to reach out with all questions and interview requests. 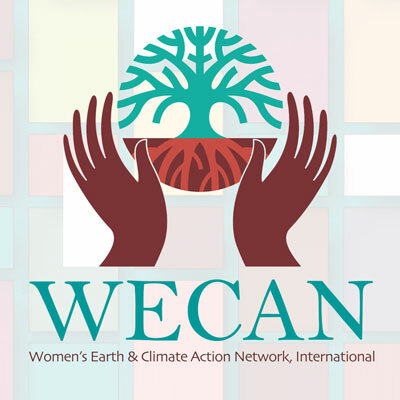 The Women's Earth & Climate Action Network is a solutions-based, multi-faceted effort established to engage women worldwide to take action as powerful stakeholders in climate change and sustainability solutions.